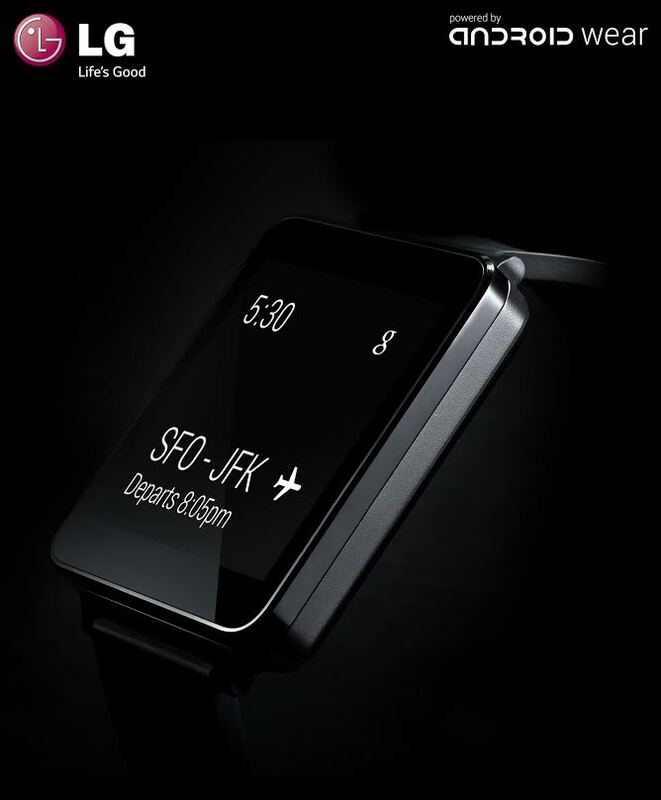 LG Electronics (LG) is working together with Google on the LG G Watch powered by Android Wear™, which extends the Android platform to wearables. The LG G Watch will be compatible with a wide range of Android™ smartphones and will present relevant information to users just when they need it or whenever they say “OK Google” to ask questions or get stuff done. As one of Google’s lead partners in this effort, LG is planning to introduce its first watch powered by Android Wear in the second quarter of 2014. The LG G Watch powered by Android Wear will present a low barrier to entry for developers and offer the best Google experience for users. LG engineers worked closely with Google from the initial stages of development to ensure that the LG G Watch worked perfectly with Android Wear. This is LG’s fourth device developed in close collaboration with Google following the Nexus 4, Nexus 5, and the LG G Pad 8.3 Google Play Edition. 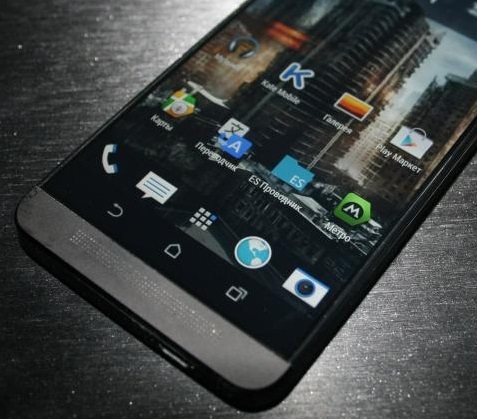 Ahead of HTC’s official announcement Carphone Warehouse has revealed that the new “HTC One (M8)” handset will be available from selected stores from around 4pm on Tuesday 25th March – just minutes after it is officially announced. The new HTC flagship device will be officially unveiled by the manufacturer at special events in London and New York earlier that afternoon. Shortly after, the new HTC One (M8) handsets will be transported directly from the venue of the launch announcement to six Carphone Warehouse stores in London. Westfield Stratford, Westfield White City, Oxford Circus, Centrepoint and Tottenham Court Road stores will all be hosting special events celebrating the HTC launch with entertainment and giveaways as well as the first chance for customers to get their hands on the new device. Carphone Warehouse at Selfridges will also be stocking the handset from the same time. Full information including videos of the new handset will be shared on www.carphonewarehouse.com and customers will be able to order the HTC One (M8) over the phone from the same afternoon, before it is available from all 770 Carphone Warehouse stores and to order online shortly afterwards. Three has announced that it is making 0800 numbers free for customers signing up to new monthly plans, as well as slashing 084 and 087 calls to 5p per minute, amidst new research that reveals that Brits shell out over half a billion pounds a year on 08 ‘freephone’ numbers a year. These charges typically range from 14p to 40p. Existing customers can swap over from their existing plan without paying a fee and can keep their existing contract end date. When queried, premium mobile charges for 0800 numbers emerged as the most frustrating for consumers, something Three is responding to as part of its long term goal of making mobile bills fairer and easier to understand. New research – conducted by YouGov – has found that mobile phone users are in the dark when it comes to the cost of making calls to 0800 numbers from their mobile phone. Three quarters of people surveyed have no idea how much their operator charges them for an 0800 call and 10% think these are free, as they would be from a landline. Research also highlights that calls to 0800, 0845 and 0870 numbers cost UK mobile consumers an estimated £600 million a year. The research also found that 47% of mobile phone users have experienced bill shock, with almost a third (31%) of these users saying this was caused by out of bundle expensive calls such as 0800 or 0845 numbers. From today, customers who sign up to Three’s new plans can call 0800, 0808 and 0500 numbers for free, while all other 08 numbers, like 084 and 087, will cost 5p per minute. These charges typically range from 14p to 40p. Existing customers can swap over from their existing plan without paying a fee and can keep their existing contract end date. Dave Dyson, Chief Executive at Three, said: “We asked people what frustrated them most about their mobile bills and confusion around the cost of calling 08 numbers came out top by a big margin. These charges are often buried in the small print and they’re expensive enough to make most customers fear calling them from their mobiles. “We believe in making mobile simpler and better value – the cost of calling 08 numbers is something we want to address for our customers. Under the new plans, customers will also be able to set limits to stop them going over their minutes allowance and limit spending on expensive numbers. They will also receive text alerts to help them understand when they are close to using up their voice and data allowances. To celebrate that 0800 numbers are now free, Three is launching a selection of fun and pointless 0800 numbers on 17 March for people to call and enjoy, including a Singing Dictionary line, a compliments line and a 24 hours lullaby line. Are Google thinking about launching their own network? 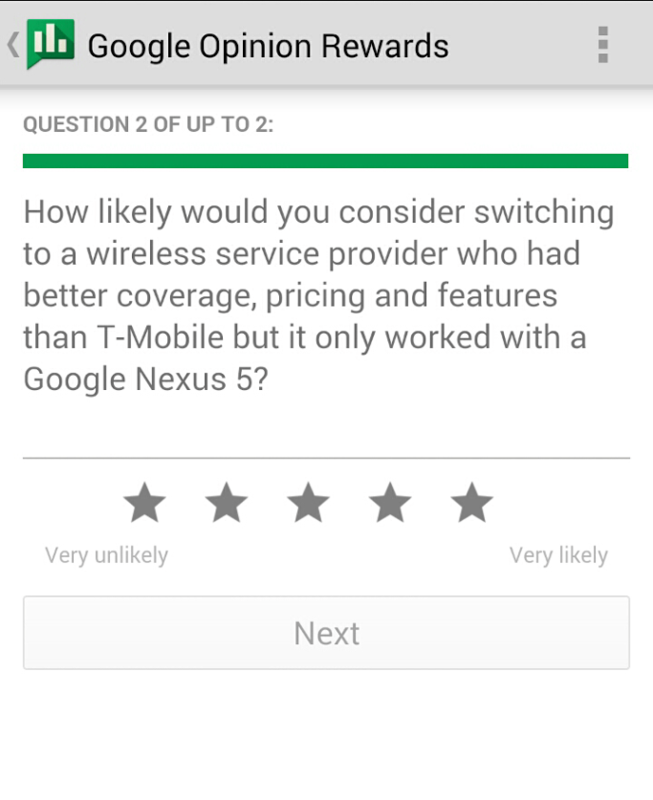 This question recently appeared on a Google Opinion sparking the rumour that Google might be launching their own network. Perhaps as an virtual network operator on a larger network however as they have dug in the wiring for Google Fibre is does not rule out the option that they might go to the expense of erecting their own towers. The best news here is that Google would be charging less than the other networks as you can only use a Nexus device on their network. 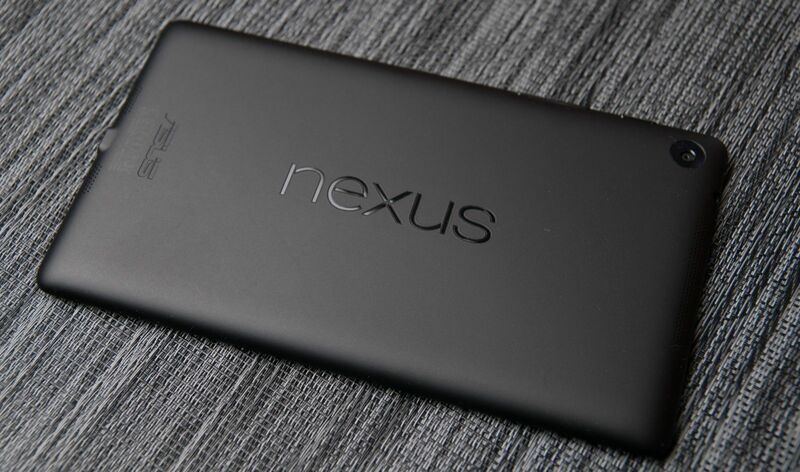 A master stroke for all those who love a Nexus, and lets face it, there are a lot. At any rate, this is merely a rumour now. Gauging from public reaction Google might not both. For us little folk in the UK, we would be unlikely to see a Google network for a least 1,000 years. 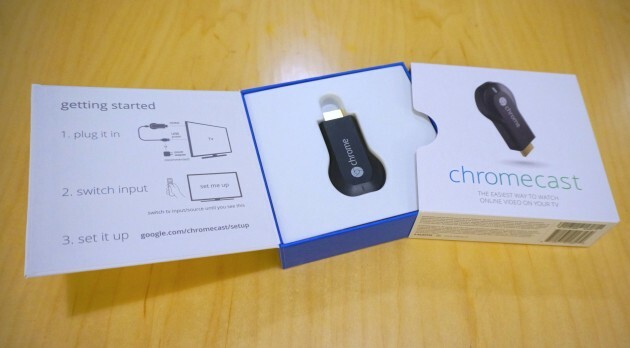 Sundar Pichai recently mentioned the Chromecast would come to other markets within weeks. The Chromecast app was updated with new languages and we even had a nice leak of the Chromecast being prepared for launch here in the UK. We just needed one more detail – when?. Now, this document doesn’t specify it’s talking about the Chromecast, but we have been seeing many rumours and news about the HDMI dongle lately. We can’t imagine this being about any other product. Price continues to be unspecified. The only details we know came from the last rumour, which suggests the price will be £30. Regardless, we will learn all this information very soon. Circle this coming Wednesday in your calendars, guys! March 19th is looking like the day we see the Chromecast arriving! Many have discussed what might happen the day your 100gb of free online storage runs out after purchasing a shiny Chromebook. Thankfully there is a nice answer. It looked like the end user was going to have to clear everything out and say “bye bye” and manage with 15gb or shell out some green to keep it. Today Google announced some great news, lower the prices on all its paid subscriptions for Google Drive storage. 100GB of space now costs $1.99/m (down from $4.99/m); a gargantuan 1TB will now cost $9.99/m (down from $49/m) and if you’re really in need of cloud storage you can rent out 10TB+ for a monthly for starting from $99.99. The new pricing plans come into effect today. More details can be found at google.com/settings/storage. And if you already have a subscription Google say not to worry; anyone already signed up to a monthly plan will be automatically switched to the cheaper option, no input needed. Gareth and Dan are here with another UK update on the mobile front. Dan gives his thoughts on Mobile World Congress 2014. This week Dan tells us what it was like to be on the ground at MWC, the most leaked phone of the decade, the HTC One (M8) and several of the new devices from Archos get discussed. In a report published by RootMetrics, Vodafone comes out at the worst of the UK Mobile Networks with EE taking an almost cleansweep at the top of virtually all of the metrics measured in the report. The report claims to be “the most comprehensive study of UK mobile network performance,” aiming to highlight the best carrier in the country. Broadly speaking these results are pretty consistent with our experience here at tracyandmatt. We on the team all have SIM cards and contracts with the top 4 UK carriers and we all rate EE the highest in terms of coverage, speed and reliablility while there’s no argument from us that Vodafone’s position at the bottom is well deserved. We’re not on the fence! Vodafone said the network tests were not fully impartial, nor did they follow standard industry practices. In addition, some of the data included could be more than six months old, it suggested. “The evidence we have seen of how Root Metrics conducted some of its tests leads us to believe that they were carried out in an inconsistent manner,” the spokesperson added, advising interested parties to use more established, independent researchers, “such as Ookla”. Supposedly, Google will announce the tablet later this year and it will be one of the first devices running their next iteration of Android, which will supposedly be 4.5. Using Intel hardware would be a substantial departure from the norm for Google, but we wouldn’t put it past them. The Nexus 10 is due a refresh first and with any luck we might just see version 4.5 on that and a version 5 arriving with a Nexus 8. One can only hope. It would seem the Asus Chromebox is a hit. Currently sitting at No. 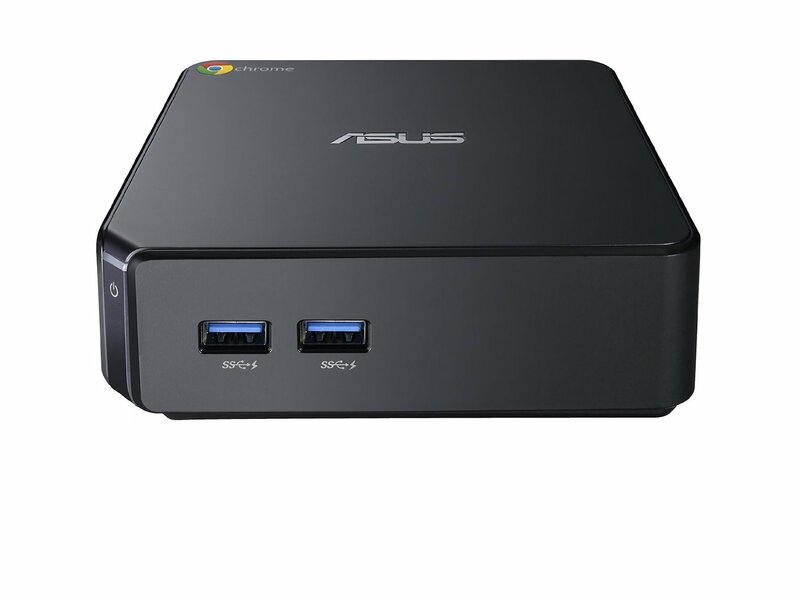 1 on Amazon.com’s best seller list the Asus Chromebox makes a desktop companion of the ChromeOS similar to what the Chromebook has been doing for notebooks and laptops. The Chromebox comes in three different flavours, the first featuring a 1.4 GHz Intel Celeron 2955U Processor with 2GB of Ram for $179, a Intel Core i3-4010U with 4GB of Ram for $409 and an Intel Core i7-4600U with 4GB of Ram for $590. Each unit also features a 16 GB SSD HDD, Intel HD graphics, Gigabit ethernet, 802.11n WiFi, Bluetooth 4.0, 2x USB 3.0 ports, 1x 3.5mm headphone / microphone port, 2-in-1 SD/MMC port and the ever evolving Google Chrome OS. The i3 and i5 variants do not appear to be as easy to track down however the reports are these ship on the same dates. At this price is it impossible not to at least be tempted by the box for $179, even just to plug into a TV or unused screen. No news of when this is to appear on the UK shores, right now Amazon.co.uk offer the Samsung Series 3 Chromebox running Intel 1.9GHz, 4GB RAM, 16GB SSD for £279. A nice alternative however likely to be superseded in the near future.